How do you talk about, much less demonstrate, silence? This Sunday, September 28, Vermont's most famous clown will do just that in "Adventures in Mime and Space With Rob Mermin: The Legacy of Marcel Marceau" at North End Studios. Presented by Theatre Kavanah, Temple Sinai and Ohavi Zedek Synagogue, the presentation is part of Kavanah's ongoing performances dedicated "to staging the Jewish experience." What's mime got to do with being Jewish? Nothing, particularly. 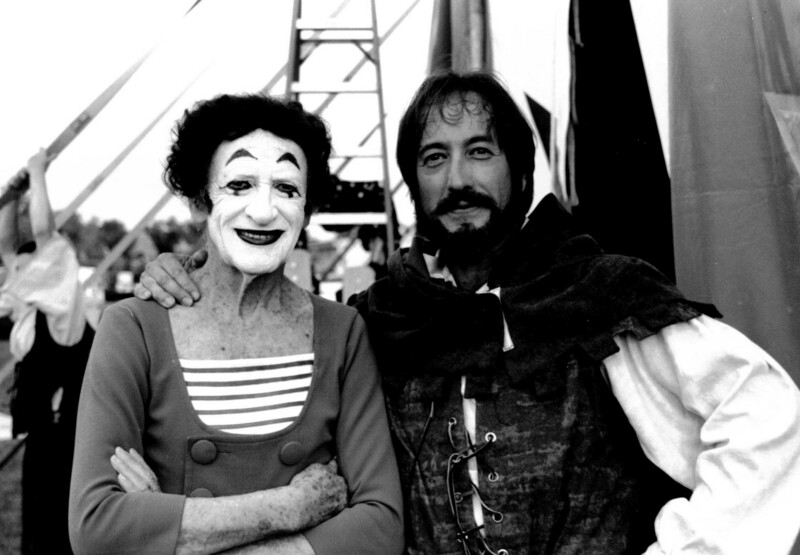 Except that legendary mime artist Marceau (1923-2007), a longtime mentor and friend to Mermin, was active in the French Resistance during World War II, helping to save Jewish children. 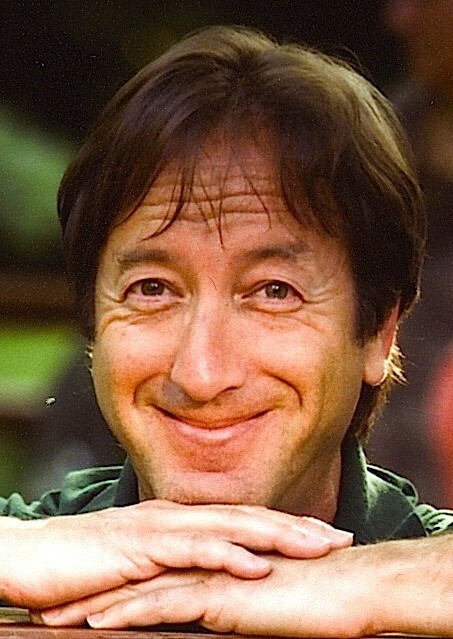 For that, he was rightly respected as a humanitarian, as well as an unparalleled performance artist. After growing up in Connecticut with two sisters and a brother, Mermin headed to Europe to study with circuses in England, Sweden and Denmark. In addition to training with mime masters Marceau and Etienne Decroux, he earned a degree in drama and literature from Lake Forest College, near Chicago, Ill. Mermin says he had been coming to Vermont since the early ’70s, and moved here around 1980. In 1987, he founded Circus Smirkus. One of the highlights of his career, Mermin says, is when Marceau came to Vermont to perform a benefit for, and actually talk out loud to, the Circus Smirkus crowd. Seven Days chatted with Mermin by phone in advance of his presentation — and silent demo — this Sunday. SEVEN DAYS: I remember in high school there were a couple of guys we referred to as the "class clowns." Were you a class clown? ROB MERMIN: No, not at all. Class clowns usually become real estate brokers or car salesmen or something. I was one of the quiet ones in the back [of the classroom] staring out the window. SD: You've probably been asked this many times, but I have to do it: Why mime? RM: I actually started mime before I started clowning. I always liked silent-film clowns. And then I saw Marcel Marceau perform with Red Skelton, an hour and a half on TV with no talking — it was a concert in pantomime. That inspired me to think you could communicate without sound. Marcel was unique; he revived a lost art form and performed for 60 years ... I had the good fortune to study with him. I saw Marcel over almost 40 years, 1969 to 2007. SD: When did you study with him? RM: I studied with him in 1969 and ’70, and then would catch up with him wherever he was touring ... The unusual adventures in my life came from making pilgrimages. When I wanted to learn something, I went to find the master. That's what I tell younger students to do: Find a master. SD: Now everyone is so plugged in, there's so much noise. It must be hard teaching the notion of performing in silence, especially to young people. RM: You're right that performers and nonperformers alike are afraid of silence. What they don't realize is that their bodies and gestures speak before they do ... I teach mime infrequently these days because people don't know what silence is ... Mime was my first love; it gave me a worldview, how to observe nature, how to observe people. It became a philosophy. Marcel taught it that way, as a metaphor. SD: What will you do in your presentation Sunday? RM: I'm going to honor the legacy of Marcel by explaining what the art form really is. I'll demonstrate, talk and show film clips — it's part discussion and part film. SD: You've won more clown awards than most people even know exist. What's your favorite? RM: They don't mean much. But one of my favorite ones was the 'It Takes a Village' award from the Lund Family Center. It's ironic, I don't have any children. But that was heartwarming. SD: Is it true that clowns are really sad on the inside? RM: No. The Europeans have a very different view of clowns. They're artists, they're character-driven and philosophical. Clowns are the philosophers of the circus; the other performers are the athletes. Rob Mermin will lead a pantomime workshop from 3 to 5 on Sunday, September 28, introducing the Marcel Marceau style and Etienne Decroux technique. $25. Preregistration through Wednesday, September 24. Call 503-1132 or check theatrekavanah.org. "Adventures in Mime and Space With Rob Mermin" follows at 7 p.m. $18. Both at North End Studios in Burlington.